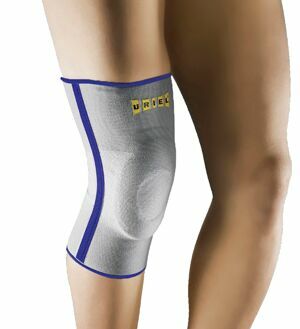 422 Genusil Knee SleeveThe Knee Brace is ideal for supporting the knee and relieving pressure over the patella. A silicone cushion gently compresses and massages the soft tissue around the patella, stimulating circulation and thereby reducing swelling and edema, which results in decreased pain. Recommended for the management of knee pain and discomfort,Osteoarthritis, Arthritis, Chondromalacia, anterior knee pain, knee instability due to general muscular imbalance, Osgood-Schlatter's disease and Jumper's KneeProvides relief to tired and aching knees.